The Kingsley School celebrated its 133rd birthday on Thursday 21st September. The event, known as Founder’s Day, pays tribute to the school’s founder Rose Kingsley, daughter of Victorian author Charles Kingsley. The opening of the school in 1884 was ‘a dream realised’, providing educational provision for young women in Royal Leamington Spa and its environs. The school celebrated with a visit from an ice cream van, which provided a treat for pupils and staff across the whole school. The Head Girls also presented a special assembly detailing the school’s history and the legacy of previous headteachers. The school was delighted to welcome back Miss Nesta Jones, Headmistress from 1961 – 1977, who had recently celebrated her 100th birthday. 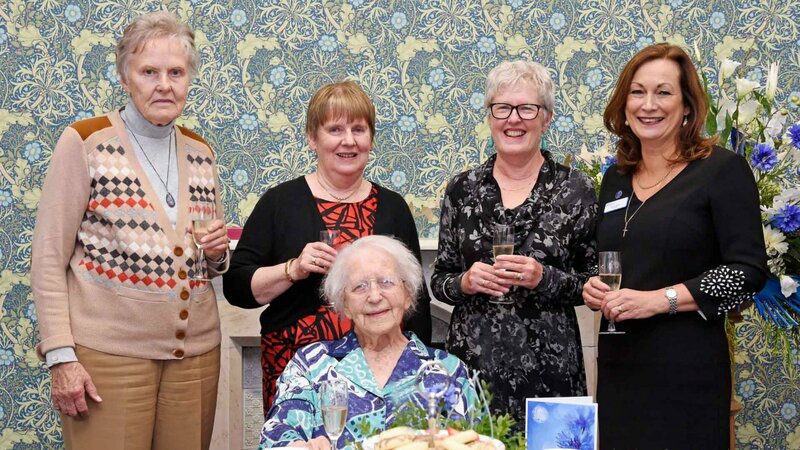 Miss Jones attended an honorary afternoon tea alongside three other previous headmistresses, current Headteacher Ms Heather Owens, and Chair of Governors, Mrs Julia Burns. The group shared stories of their time at the school and decided that the correct collective noun for a group of headmistresses should be ‘a charm’.